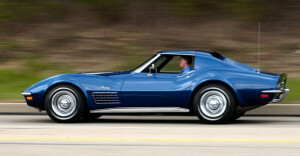 Are you restoring a Corvette? Well there are many companies out there that can deliver quality products for your venture, but none at least that I have seen complete the door panel process like Corvette America. Please understand that my blog is not associated with any company nor do I profit from the mere suggestion that you should try one company or another. I just want the readers of this blog to be as well informed as I have been. I have been restoring my C3 Corvette for about 7 months now, and I have gone through both good and bad experiences thus far, but all of them have been rewarding. Enjoy the video, watch the process, and most of all don’t give up on your project Vette!